Saturday Night Fun with Little G-Man! 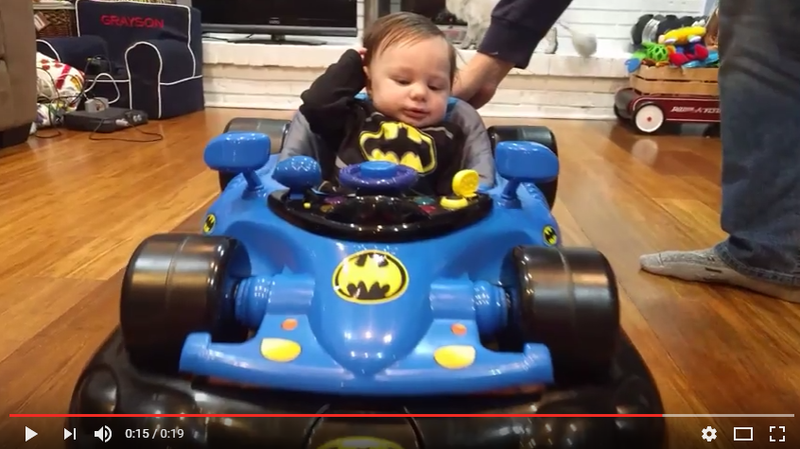 Grayson received this amazing Batmobile walker when he was born and is just about big enough since it has three different heights. The control panel is great with sounds and lights – the gear shift makes voom-voom sounds. But, we had to play our own music in the background. Sorry, but they only make this child sized! If you’d like your own Batmobile (or a pink Batgirl Mobile), you can find it on Amazon.